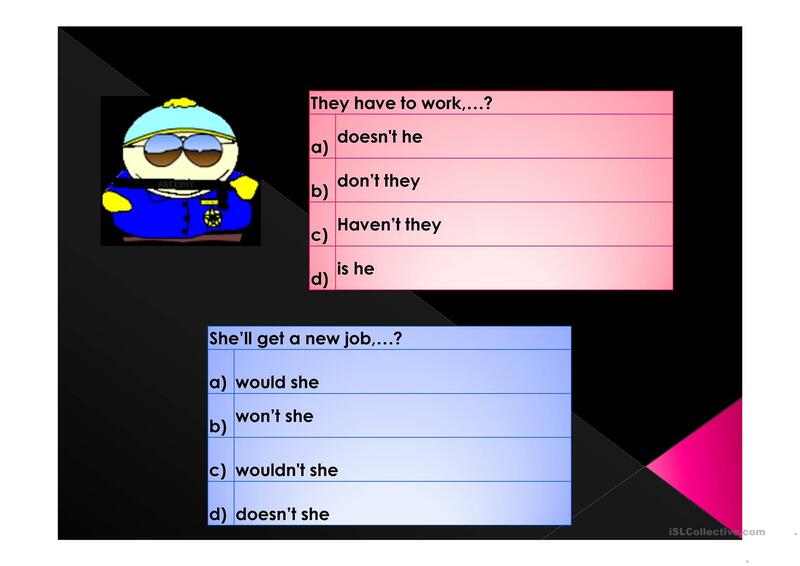 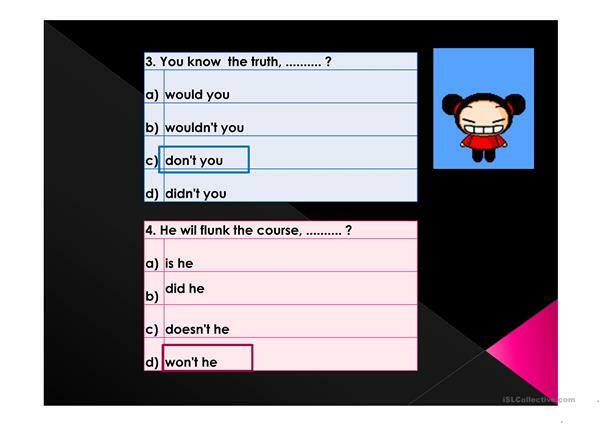 The present downloadable worksheet is meant for business/professional students and high school students at Pre-intermediate (A2), Intermediate (B1), Upper-intermediate (B2) and Advanced (C1) level. 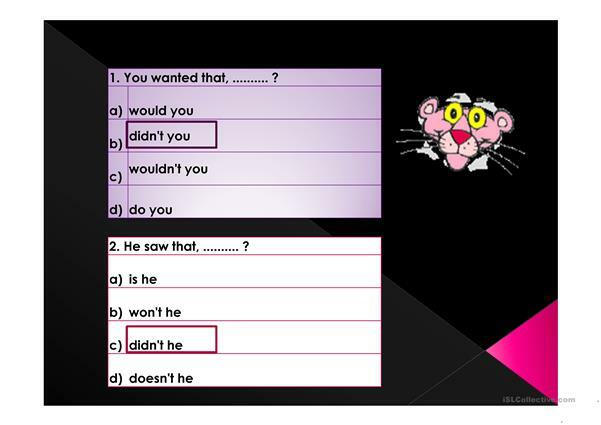 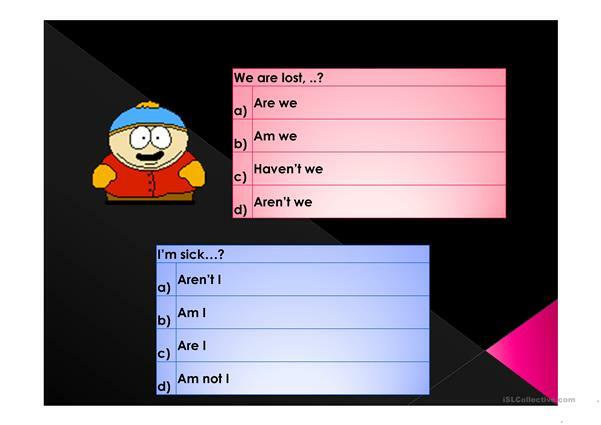 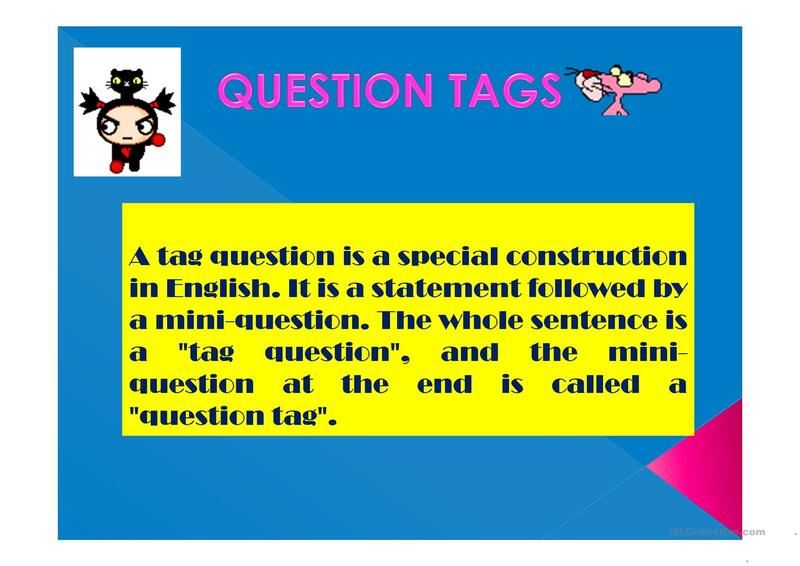 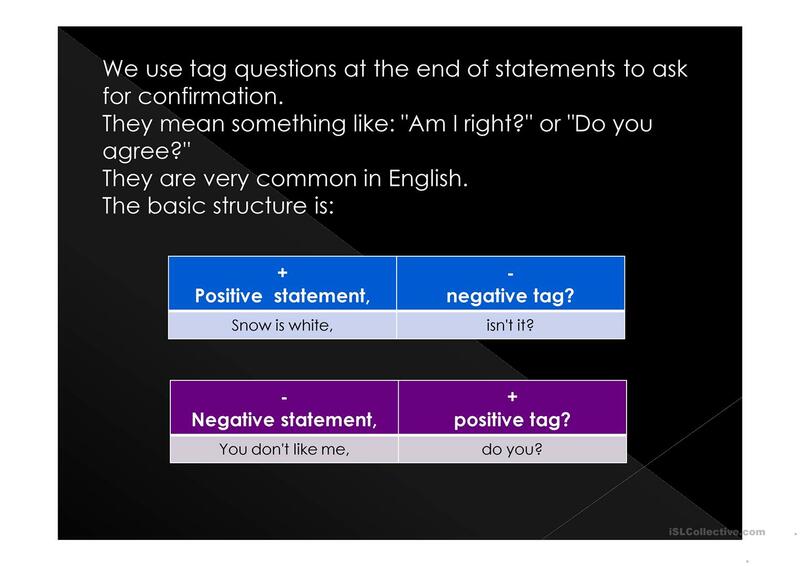 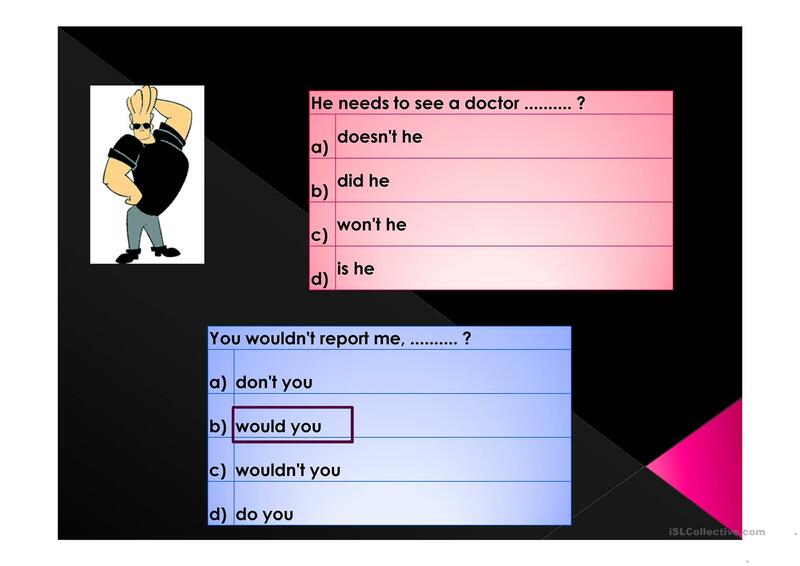 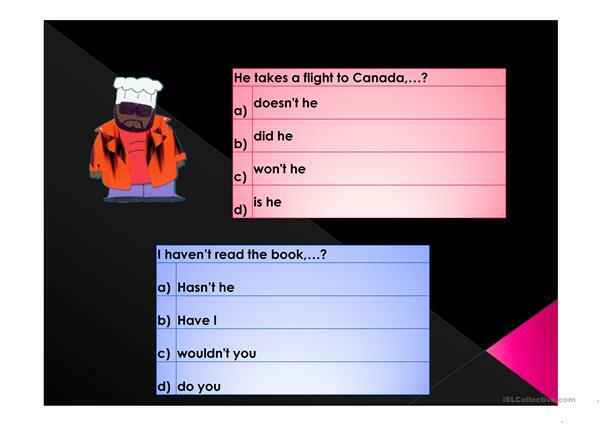 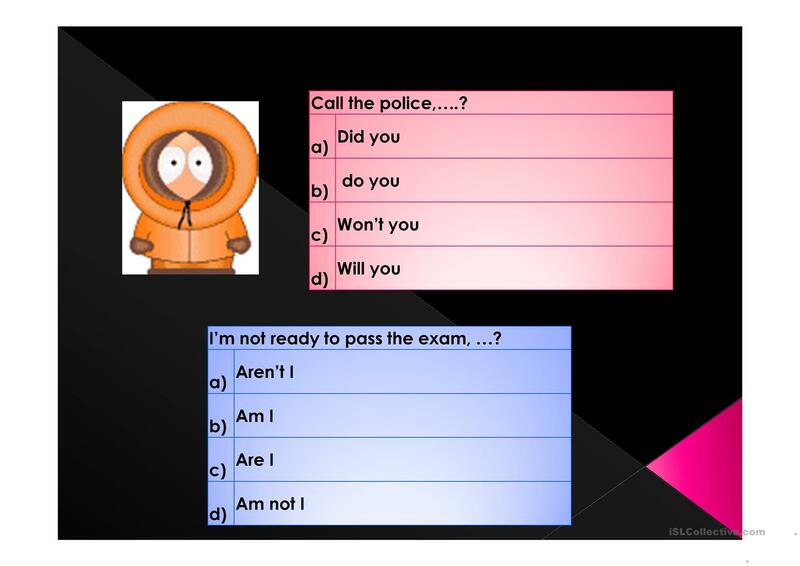 It is a useful material for practising Question tags in English, and is useful for developing your groups' Spelling skills. It features the topic and words of Actions.